Lapis Lazuli, I have until recently found this a very difficult stone to work as I have never been able to achieve a nice polish at the end of the process, my finished item have always had a very dull finish with almost no shine. On this item I went through all of the normal grits with my silicon carbide belts, 100, 240, 400 and 600 but this time I had a new item in my. I have a couple of resin impregnated belts for diamond paste. I charged the belts up with the diamond paste, one with 30 micron and the other with ¼ micron. I used the 30 micron belt first and after a very little time started to see some shine appear, then I moved onto the ¼ micron belt and we soon had a reflection appearing, something I had never been able to achieve before. No polish like cerium oxide is required. A point to note, you have to be careful of heat build up with these belts as you do not use any coolant with them at all. I think I need to add a couple of more diamond stages to fill the gap between the 30 micron and ¼ micron and the finish should become really deep shine. As always I finished this piece off by wrapping with 925 sterling silver wire to create a finished pendant. These items are destined to be placed on Shalini’s on line jewellery shop in the near future which can be found at //www.jewellerybyshalini.co.uk. thanks for getting in touch, this piece was created quite a while ago and was then subsequently sold, you can find it here. We could create something similar for you if you would like, let me know at your convenience. 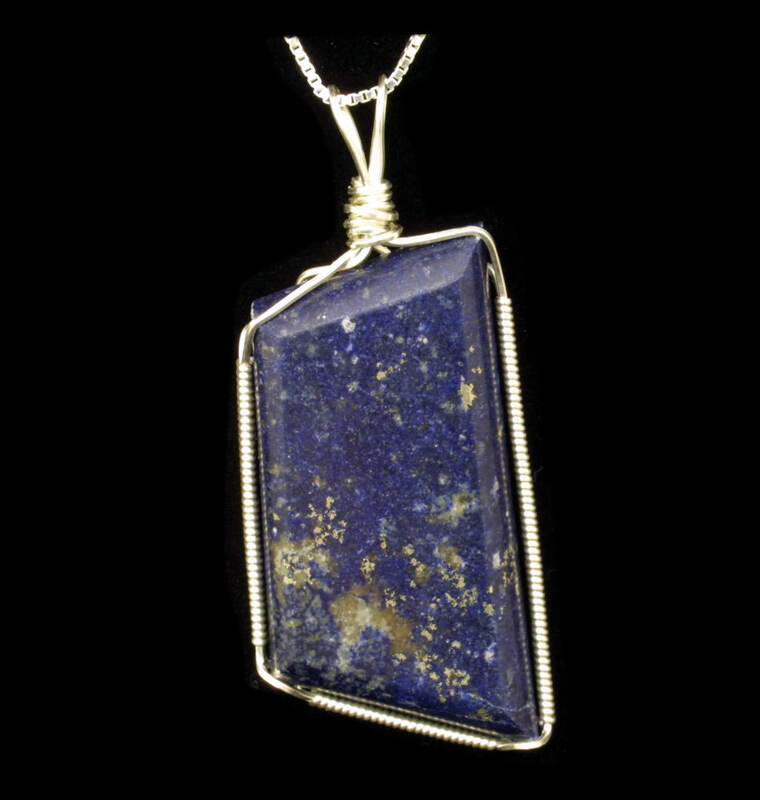 I like the Sterling silver wire wrapped Lapis Lazuli cabochon but cannot find it on the website link you listed. Available? Price?